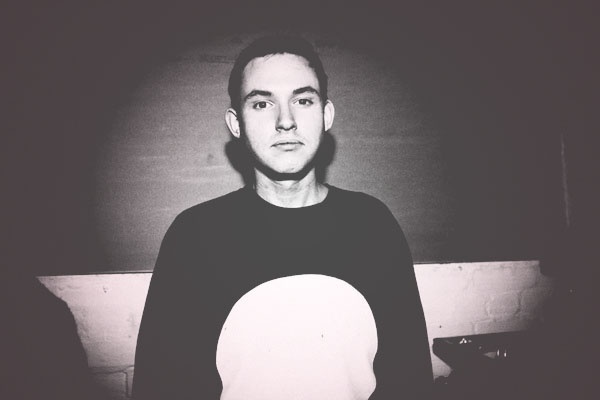 27 year old Hudson Mohawke (HudMo), real name Ross Birchard, has become quite the DJ and producer over the last several years. Most people probably know his name because he makes up one half of the duo TNGHT, or because he helped produced Kanye West’s most recent album, Yeezus (him and Lunice, the other half of TNGHT, had the most influence over Kanye’s track Blood on the Leaves which is my favorite track!). Over winter break I was most fortunate and spent nearly a month in Glasgow, Scotland, where HudMo is from, and (almost!!) ran into him several times in the small but vibrant city. Call me ignorant but I hadn’t heard his name before winter break although I knew and listened to TNGHT’s music, and as he’s a “local celebrity” in Glasgow, I had to catch up on all the gossip and news going around town concerning HudMo. The amazing thing about having been in Glasgow during the holidays is all the cool DJs and producers (many of whom are signed with LuckyMe like HudMo) who are originally from Glasgow come back home to be with their families…and frequent the clubs. There were numerous club night events I attended where HudMo was also “attending”, and one night the dream finally came true! One of my friends I went out with ended up meeting HudMo and having a lengthy chat with him concerning some of his work in the past year and what’s coming up in the future. Apparently he’s quite friendly and down to earth, Not a few weeks ago he moved out of his old studio into a new one in London, and many are expecting for him and Lunice (the other half of TNGHT) to release some new tunes this year in addition to his own solo releases. HudMo hasn’t released much the past few years–2013 was a year of producing for him, working with big names such as Kanye West, Drake, and Pusha T. His last EP, Satin Panthers, was released in 2011, and his most recent album Butterwas released in 2009. So it’s been a while, but he’s had to juggle his life as a part of TNGHT as well as being a producer and solo recording artist. ZOo00OOm: Another really good track with some pretty nice beatbox-like sounds and deep bass cut by the harsh and high sounds of something like an electric telephone keypad. Thunder Bay: Off his Satin Panthers EP, this track is incredibly similar to the sounds of TNGHT, so if you enjoy TNGHT take a listen.